Kids practice creating three letter short vowel words with donuts! Write A, E, I, O, U on 5 paper plates. Then, give kids a box of paper donuts with two letters on the sides of the donuts. 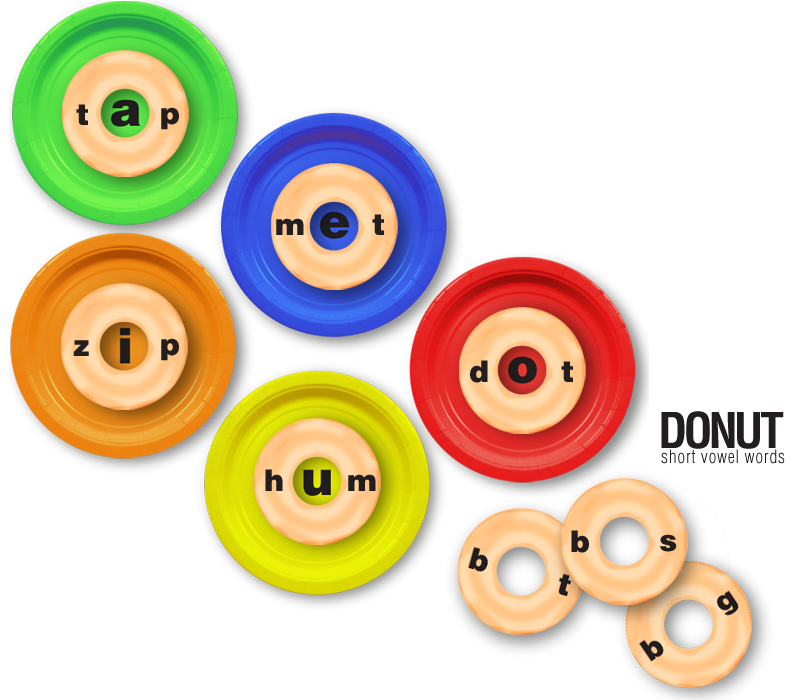 Kids place the donuts on the plates, so the vowel shows through the hole of the donut. You can find a list of short vowel words here!